Hush Panels can be manufactured from many substrates to suit all fire group ratings. 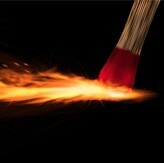 Finishes range from clear, stained or painted, timber veneers, or Melteca finish. Hush Panels can source a range of substrates such as NZ Radiata Plywood, Euro Birch and Hoop Pine, to name a few. The panels are then factory finished, to achieve either a group 2S or Group 1S fire rating. Substrates are then overcoated with a decorative clear top coat; staining options are also available. All veneers used in the production of NZ Radiata Plywood are produced from plantation grown Pinus Radiata and complies with relevant standards to meet New Zealand Building Codes. 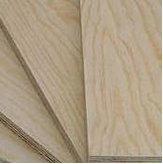 Radiata Plywood can be supplied in a selection of different grades. Please contact us for further information or Data Sheets. 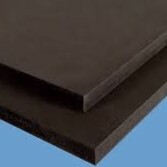 Hush panels Torchguard® MDF is a flame retardant, fire tested to group 1S, medium density fibre board. It is produced by one of the world’s premium fire retardant panel manufacturers and is perfect for wall and ceiling linings. The standard Torchguard® MDF is pale pink in color. Hush Panels Torchguard® can be overlaid with any natural timber veneer for that natural timber look or lacquered in the colour of your choice. We also have a range of Torchguard® MDF that can be overlaid with Melteca chosen from there extensive colour range. 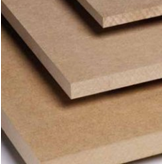 Hush panels Torchguard® MDF is a flame retardant, fire tested to a European standard B-S1 which correlates to a NZ Group 1S, medium density fibre board. It is produced by one of the world’s premium fire retardant panel manufacturers and is perfect for wall and ceiling linings. The Black Torchguard® MDF is a mid black in color. Hush Panels Torchguard® can be overlaid with any natural timber veneer for that natural timber look. 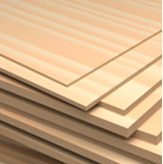 New Zealand Made regular grade MDF has an excellent strength quality and surface smoothness with superior edge profile. The surface can be painted to achieve a high quality finish and provides an excellent uniform finish. This can also be overlaid in any of the Natural Timber Veneers or Melteca Colours achieving a Group 3 finish. Manufactured in New Zealand by a company with a renowned reputation for producing products to the highest standards. All veneers used in the production of NZ Radiata Plywood are produced from plantation grown Pinus Radiata and complies with relevant standards to meet New Zealand Building Codes. 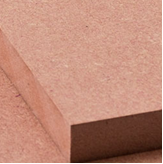 Radiata Plywood can be supplied in a selection of different grades. Produced from 100% plantation grown and managed Hoop Pine logs. Hoop Pine is normally brighter and more consistent than Radiata Plywood. The face veneers are rotary cut and have been selected for their high end finishes.